Interstate 70 West to Highway 54 (Kingdom City exit). Turn left at the exit onto Highway 54 West to Osage Beach. Take the second Bagnell Dam Blvd/Osage Beach Parkway exit to the right, just past the Osage River Bridge. The PMG-Lake Ozark Vacations office is approximately 1 mile west; our office is in the green building on your left. Interstate 44 West to Highway 7 (Richland/Lake of the Ozarks exit). Turn right onto Highway 7. Follow Highway 7 to Highway 5. Turn right (north) onto Highway 5 to Camdenton. Take the highway 5 (bypass) expressway to the first exit and right onto Highway 54 East. Stay on 54 East until you come to the Osage Beach Parkway exit. 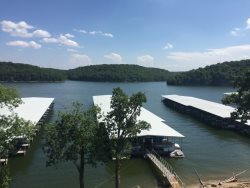 The PMG-Lake Ozark Vacations office is located approximately two miles north on Osage Beach Parkway. Our office is located in the green building on your right. Highway 50 East to Tipton. From Tipton, take Highway 5 South to Highway 52 East to Eldon. In Eldon, turn right at the McDonald's, Bus. Hwy 54, to HWY 54. Take Highway 54 West to the second Bagnell Dam Blvd exit, turn right, this exit is right after you cross the Osage River Bridge. PMG-Lake Ozark Vacations office is located in the green building on your left. Interstate 70 East to Highway 5 in Booneville. Take Highway 5 South to Highway 52 East to Eldon. In Eldon, turn right at the McDonald's, Bus. Hwy 54, to HWY 54. Take Highway 54 West to the second Bagnell Dam Blvd exit to the right, this exit is right after you cross the Osage River Bridge. PMG-Lake Ozark Vacations office is located in the green building on your left. Interstate 44 East to Highway 5 (Lebanon/Lake of the Ozarks exit). Take Highway 5 north to Camdenton. Take the highway 5 (bypass) expressways to the first exit and right onto Highway 54 East. Stay on Highway 54 East until you come to the Osage Beach Parkway exit and turn right. The PMG-Lake Ozark Vacations office is located in the green building on your left.